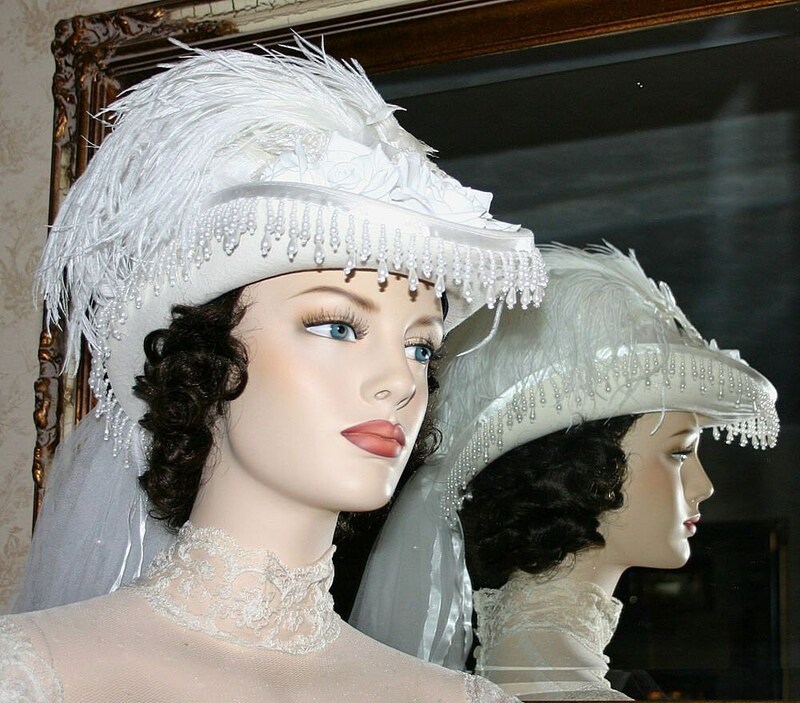 Victorian Hat Riding Hat "Spirit of Alexandria" is a hat perfect for your wedding! 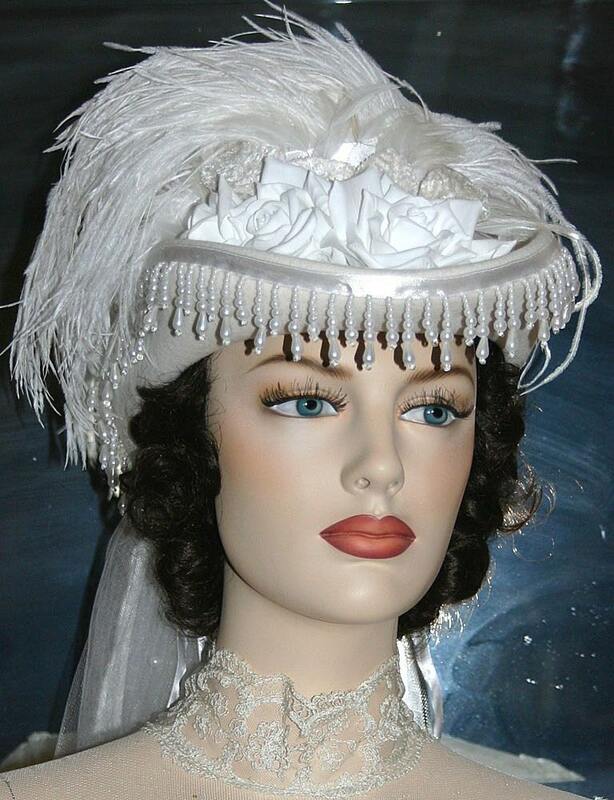 It's designed over a gorgeous soft ivory wool felt hat and then it's accented with white French style teardrop beads on a white satin ribbon; the hat band is white satin. There's life like millinery roses and buds with ivory velvet leaves against a backdrop of gorgeous fluffy white ostrich plumes that billow over the top of the crown; there's dainty white coque feathers accenting the front of the crown too. 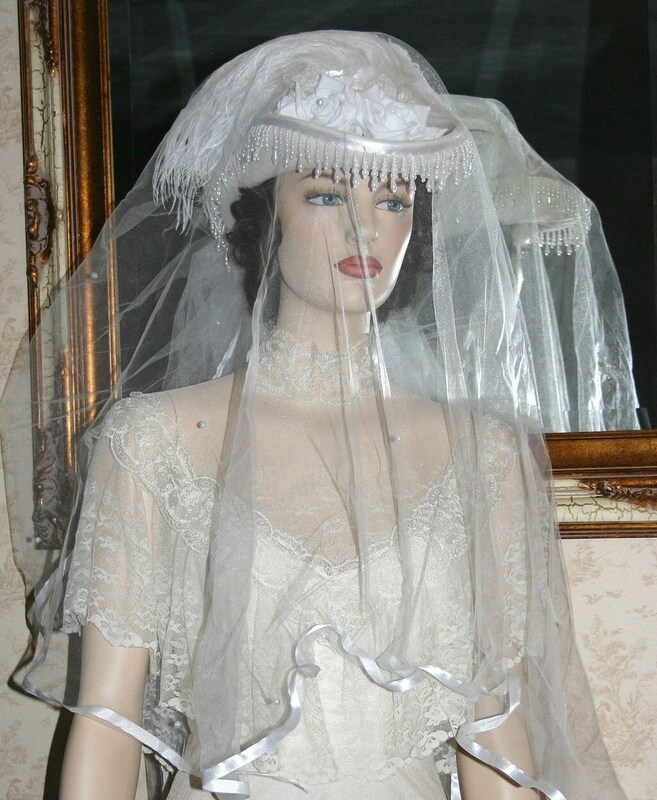 A beautiful pearl studded two tiered veil cascades down the back; the edge of the veil is accented with white satin ribbon. 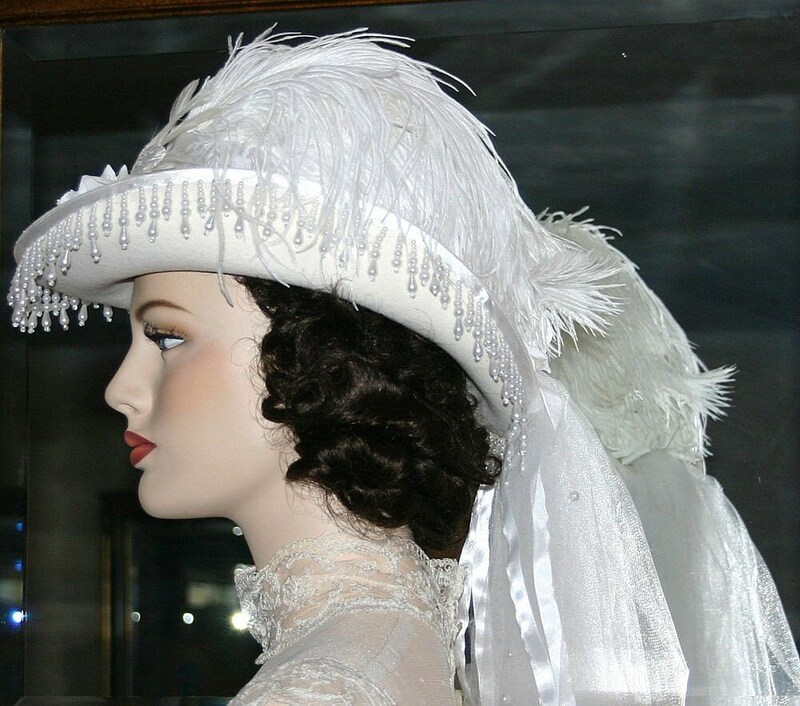 Perfect for a wedding, however a gorgeous hat to wear if you want to be noticed; this hat is a real eye-catcher and I'm sure you'll love wearing it! Very Elegrant Fantastic Design ! Thank you very much.